This book presents a unique and up-to-date summary of what is known about groundwater on our planet, from a global perspective and in terms of area-specific factual information. Unlike most textbooks on groundwater, it does not deal with theoretical principles, but rather with the overall picture that emerges as a result of countless observations, studies and other activities related to groundwater in all parts of the world. The focus is on showing the role and geographical diversity of groundwater—a natural resource of great importance in daily life, but poorly understood by the general public and even by many water sector professionals. The book starts by analysing groundwater in the context of the hydrological cycle. Subsequently, groundwater systems as physical units, with their boundaries mainly defined by geological conditions, are reviewed. The next chapter looks at groundwater as a resource, paying attention, among others, to its quantity and quality, to the differentiation between renewable and non-renewable resources, and to the techniques for withdrawing groundwater. This is followed by a systematic documentation of the quantities of groundwater withdrawn and used around the world, and of the corresponding shares of groundwater in each of the main water use sectors. After that, steadily growing needs for groundwater management interventions are identified, resulting from local human activities and global change (including demography, economic development and climate change). Finally, groundwater resources management is addressed and real-life cases are described that illustrate actions taken and experiences with different issues in different parts of the world. The authors attempted to write this book in such a way that it is accessible to a wider readership than just groundwater professionals. It will also benefit non-groundwater specialists who work in groundwater-related fields (water managers, land use planners, environmentalists, agronomists, engineers, economists, lawyers, and journalists), by broadening their understanding of groundwater and making them aware of the huge variety of groundwater settings. 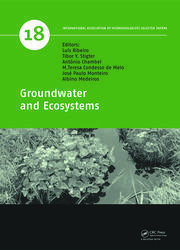 Groundwater specialists will use the book as a convenient reference on the geographical diversity of groundwater. Part of the contents or interpretations offered may even be new to them or enhance their knowledge of some aspects. The many maps, tables, and references will save much time for those who would otherwise have to search elsewhere for basic information on the globe’s groundwater. 2.2 How much groundwater participates in the water cycle? 2.3 Groundwater and surface water: How are they related? 4.9 Can the groundwater resources be augmented? 5.2 How much groundwater is withdrawn and where is withdrawal most intensive? 6.1 Why should groundwater resources be managed? 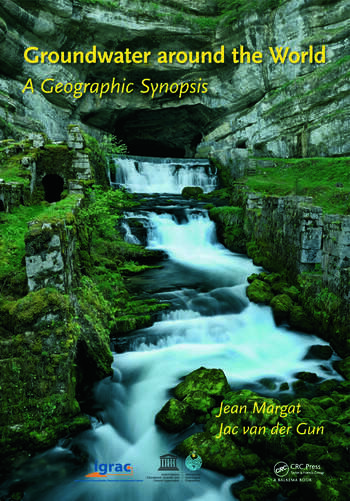 Jean Margat is a hydrogeologist. After fifteen years at the Service Géologique of Morocco, at the beginning of his career, he moved over to the Bureau de Recherches Géologiques et Minières (BRGM) at Orléans, France, for nearly another twenty five years. There he initiated, carried out and—in a later stage—supervised groundwater investigations. During that period he was also Director General’s personal advisor on water resources. His professional experience took him to many areas in France and abroad, first and for all in arid regions, particularly in Africa and the Middle East. In addition to his professional activities at BRGM, Jean Margat has been Vice-President of the International Association of Hydrogeologists (IAH) and President of the French national chapter of the Association. Currently, he is Vice-President of the Association du Plan Blue and is frequently consulted as an expert by international organisations such as FAO, UNESCO, World Bank and UNDP. He is the author of a large number of publications related to water resources assessment and management, mapping, water resources terminology and water economics. In 2008, he received the International Hydrology Prize of the IASH, UNESCO and WMO. Jac van der Gun is groundwater hydrologist. One year with a water supply company in The Netherlands was followed by four years of employment by UNDTCD in water resources assessment activities in Bolivia. Then he joined the Institute of Applied Geoscience of the R&D organisation TNO (Applied Scientific Research) in The Netherlands, where he remained employed until retirement. At TNO, Jac van der Gun participated and took responsibility for the Groundwater Reconnaissance of The Netherlands. He became also involved in the international water resources assessment and management projects of the institute, such as water resources assessment projects in Yemen and Paraguay, and he carried out numerous short missions in Asia, Latin America, Africa and Europe for various international and national organisations, providing scientific-technical inputs, supervising projects, formulating projects and programmes, or evaluating these. Jac van der Gun was actively involved in establishing the International Groundwater Resources Assessment Centre, of which he became the first director in 2003. Currently, he is still active in several groundwater related projects of international organisations, mostly as a consultant to UNESCO or to UNESCO-IGRAC. What most groundwater books lack, this one does not; it brings together society, policy making, health care, ecology and the management of natural resources [...] Van der Gun is one of the few with the knowhow and the capacity of transferring his knowledge and experience to a broad, engaged audience. 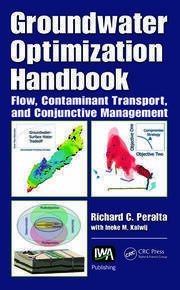 [...] Groundwater around the World cannot be missing from any hydrological bookshelf. … a data-rich compilation of groundwater information useful to anyone interested in groundwater resource issues. … useful to readers who are interested in a general overview of global hydrogeology; it is also a good starting point for those interested in specific regions. … Highly recommended. This extremely well-illustrated book provides a valuable resource and unique perspective through collation of considerable datasets, maps, tables and reference material to help gain a quantified and qualified understanding of groundwater resources at the macro-scale. This book has a broad appeal; and has particular value as a textbook for geographers, and water resources and environmental managers. It also should gain the attention of strategic planners and policy-makers. It makes a good read for hydrogeologists, and those interested in environmentally sustainable socio-economic development. Governmental and nongovernmental agencies and advisors involved with the political and socio-economic aspects of trans-boundary and macro-scale resource development would also benefit from the purchase of this book. So if the reader is a faculty member searching for a good textbook for an upper level undergraduate level course on the Geography of Groundwater, or a book to complement the many summaries of the world’s water that give short shrift to groundwater, then look no further. If the reader is a practitioner searching for a book to help plan their next international trip and want to know something about a country’s groundwater resources before departing, then Groundwater around the World: A Geographic Synopsis will serve as your underground travel guide. The book has been written in very clear language and it will help non-hydrogeologists understand the complexities of aquifer systems and groundwater resource management and protection. It has been produced to a very high standard and illustrated by over 100 well-drawn figures most of which are in colour and some 36 tables that summarize data. The authors also use a total of 23 text boxes to explain in detail various technical and scientific concepts outside the flow of the main text such as explaining what constitutes an aquifer system and the relationship between groundwater and surface water. The book also contains a long list of references at the end of each chapter and a well-structured index that, together with the data contained in the appendices, will make it a valuable research resource. 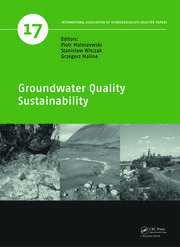 The authors have certainly met the objective of summarizing groundwater conditions on a worldwide basis for the international decision makers and it is hoped that it will make a valuable contribution to enabling individual states to cooperate in the management and sharing of groundwater resources without a recourse to war.